Ideal for long perimeter and large size openings, the QuickWall flood barrier system is the answer to many difficult flood protection problems. 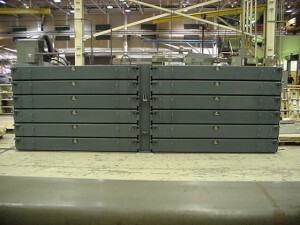 The lightweight, removable panels are fabricated from aluminum extrusions and are available in 2 different extrusions. 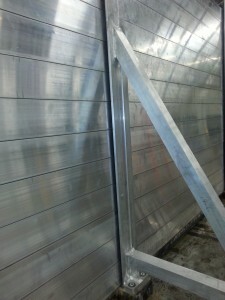 The panels can be stacked on top of each other as well as side by side, creating a wall of flood protection. 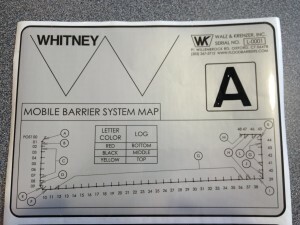 The size of the opening as well as customer requirements regarding the weight of each individual panel determines the number and size of the panels. Each panel can be deployed by one or two people, depending on the length of it. 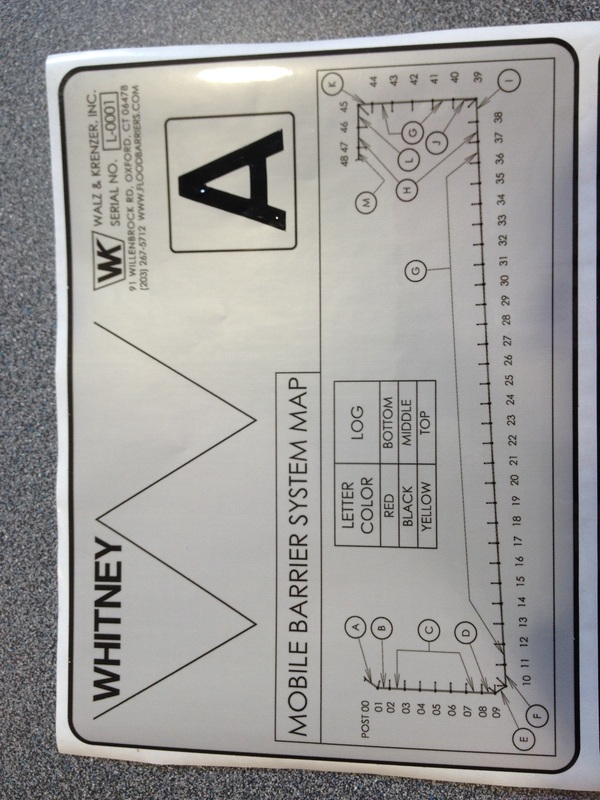 Multiple sections of side by side and stacked barriers allow long perimeter or large size openings to be protected. 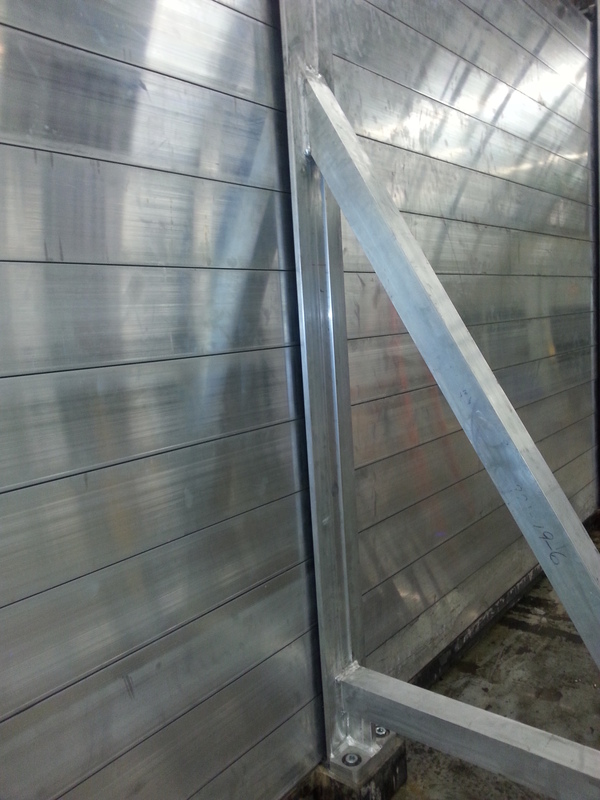 Some projects, including the new Whitney Museum in NYC have deployed several hundred feet of QuickWall protection. 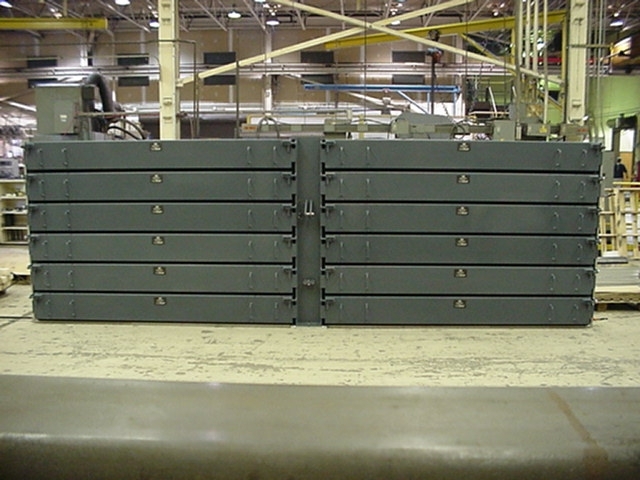 The main components of the system are the custom aluminum panels and posts. The posts support the panels when they are placed between them. Custom latching devices located on the extrusions exert downward pressure on the panels which compress the compression gasket, resulting in a watertight seal. These latching devices also restrain the top panels axially, so that any impact loads are distributed to the mounting posts.